Glenn Lewis (born Glenn Ricketts on March 13, 1975) is a Canadian R&B and neo soul singer-songwriter. Originally planning to pursue a career in animation as a teenager, Lewis instead decided to focus on music. His father was a member of the musical group Crack of Dawn. Lewis has cited Stevie Wonder as his biggest inspiration, and Lewis has often been compared to him because of the similarities in their tones. Early life and career edit: Lewis was born in Toronto to a Trinidadian mother, and a Jamaican father. From the ages of 8 to 14, he also lived in Trinidad before moving back to Toronto. After moving back to the city, he attended high school at Eastern Commerce Collegiate, where he won a talent contest by covering Stevie Wonder's "I Just Called to Say I Love You". After high school, Lewis began recording demos and performing at nightclubs, eventually becoming a respected act in the city. He parlayed this success into the release of his first single, "The Thing to Do" in 1997 on Beat Factory/BMG Music Canada. The song earned him a Juno Award nomination for Best R&B/Soul Recording. 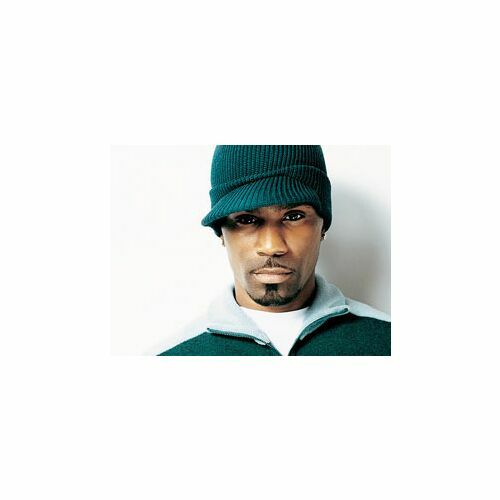 His second single, "Bout Your Love", was released in 1998 and garnered a second consecutive Juno nomination. Lewis was also featured in "Whatever it Takes," a track which appeared on fellow Canadian R&B singer Jazmin's 1999 debut album Better Be Good. This exposure eventually landed him a deal with Epic Records. Lewis' debut album, World Outside My Window, was released on March 19, 2002. Fueled by the hit single "Don't You Forget It", the album peaked at #4 on the Billboard charts. The single earned him a Juno for Best R&B/Soul Recording. He promoted the album by touring with R&B singers Alicia Keys and Tweet, among others. In 2002, Lewis recorded a cover version of "Superstition" for the tribute album, Conception: An Interpretation of Stevie Wonder's Songs. He also makes a brief appearance in the 2002 film Maid in Manhattan starring Jennifer Lopez and Ralph Fiennes. He contributed the song "Fall Again" to the film's soundtrack. "Fall Again" was originally written by Walter Afanasieff and Robin Thicke for Michael Jackson's Invincible album to compose, but did not make it on the track list. However, a demo of the song by Michael Jackson was later released on the Michael Jackson: The Ultimate Collection CD set. A concert DVD, Glenn Lewis Live, was released in 2002. Lewis prepared his second album, Back for More for release in 2003. The first single, also titled "Back for More", and featuring rapper Kardinal Offishall, was released to radio and a video began to air. Inexplicably, the album was pushed back, first to later in the year, then to 2004; it remains unreleased. In the meantime, Lewis netted a Grammy nomination for his contribution to Stanley Clarke's "Where Is the Love", a duet also featuring Amel Larrieux. Lewis left Epic Records in 2005 and in 2006, he signed with Underdog Entertainment. The album project recorded with The Underdogs entitled, "Remember Me" was slated for release in 2007, but was never released. Shortly thereafter, Lewis parted ways with The Underdogs and in 2009, Lewis reconnected with Andre Harris and Vidal Davis "Dre & Vidal", the producers of his first album, "World Outside My Window" and was rumoured to be recording material for a new album. His lastest unofficial single "Good One" was not scheduled for release, however a popular soul music website leaked the song on December 14, 2010 leading Lewis to officially release the song the following week. As of November 9, 2011, Lewis signed with EMI/Capitol records through Ruffhouse Entertainment which is expecting to release Lewis' 1st official single in early 2013 with an album tentatively scheduled for later that year. On April 29th, 2013 Lewis' first official single "Can't Say Love" debuted on his official website. His album "Moment of Truth" is scheduled to be released August 20th, 2013.